Admiralty, Hong Kong Island. 10th of October, 2014. 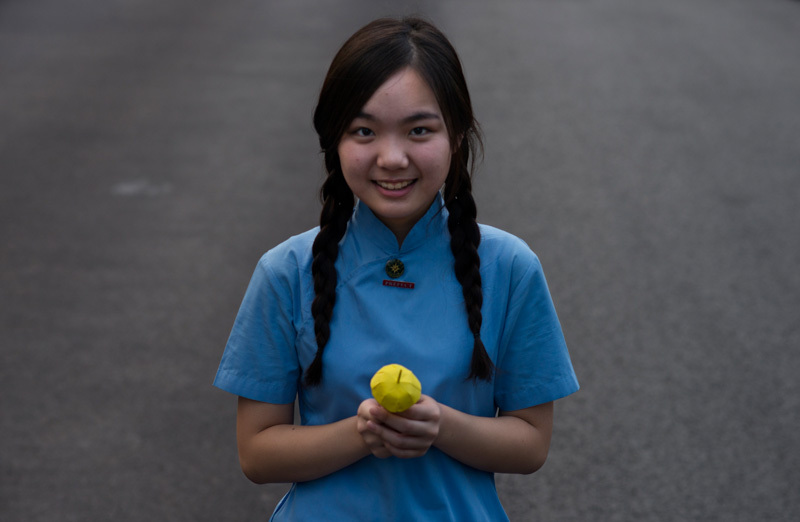 A secondary school student poses with a yellow paper umbrella in support of the pro-democracy movement.